Update: Going in and out of stock. If you want a PS4, this is the Black Friday deal you’ve been waiting for. 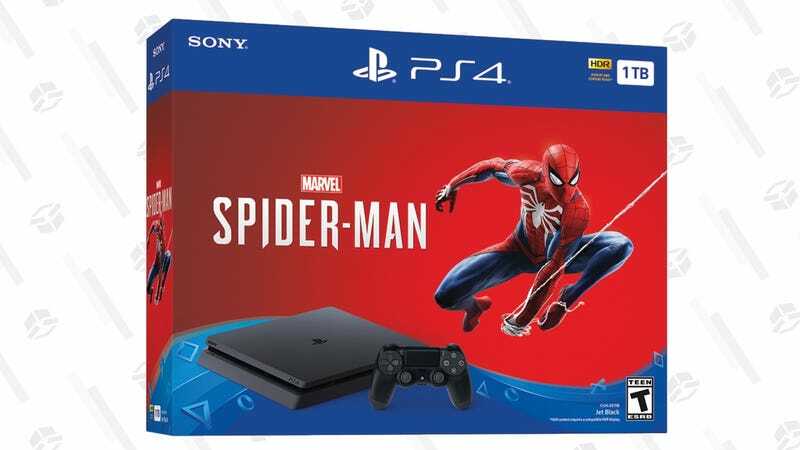 Get the console plus a copy of Marvel’s Spider-Man (which is excellent) for just $199, or $100 less than the typical MSRP for the console by itself. There’s no telling how long this will last (or even if it will last through Black Friday, given how early it’s going live), so don’t let the deal escape your web. While you’re at it going to want a year (or more) of PlayStation Plus for $40 to access multiplayer, special deals, and even free games. Sony’s PlayStation VR and DualShock 4 deals area also already live.